I recently drove from Wisconsin to Maryland and back. I shunned the northern toll roads and instead followed the Highway 70/68/70 route, which cuts through central Ohio, swings around Morgantown, West Virginia, and heads on through Maryland’s western panhandle. 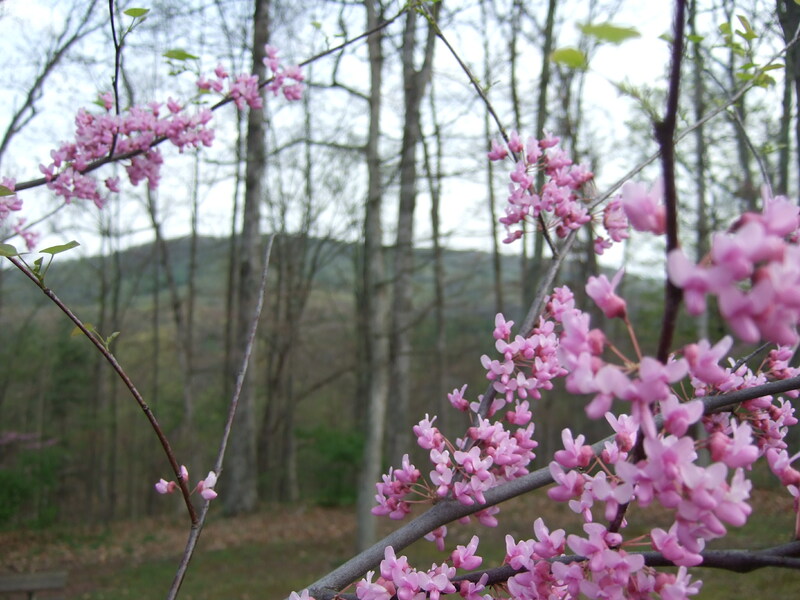 Redbud trees were in bloom through the mountains. I’ve driven to Maryland almost every year since I moved to Wisconsin in 1982. These days, it’s highway driving all the way. It’s a long drive, and I’m usually in a hurry. Still, I enjoy the trip. This route is my own personal highway: I worked summers at a summer camp near Frederick and a state park near Cumberland, in MD; went to college in Morgantown, WV; spent a summer teaching canoeing in Ohio, and got my grad degree from Antioch University (also in Ohio.) During my high school and college years I paddled, hiked, and biked throughout the area. Making this trip always brings back floods of good memories. Last week, when I pulled off the highway to get gas in Grantsville, MD, I was struck with an almost-forgotten memory. Decades ago, I drove through the mountains in a bad snowstorm, in an old junker car. Christmas was a few days away, I was broke, and I wanted to reach Baltimore yet that night. Common sense finally prevailed. 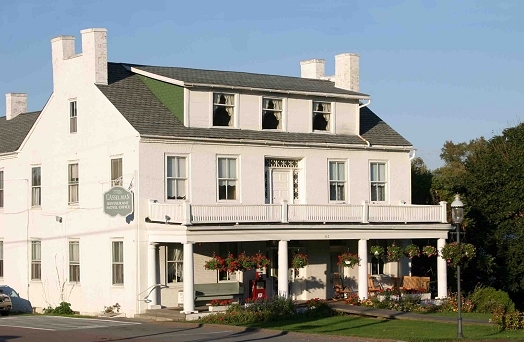 I pulled off at the Grantsville exit, and followed signs to the Casselman Inn. 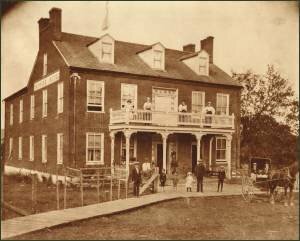 The inn has been welcoming tired travelers for almost two centuries. Now, after tanking up, I decided to look for the Inn where I’d found shelter back then. The historic structure includes a restaurant and lodgings. I stayed in a modern motel on the rear of the grounds. Way back on that cold snowy night, the dining room was closed by the time I checked in—but the owners kindly offered to prepare a sandwich for me. I remember sitting in the dining room and eating with gratitude, taking in the ambiance of the lovely old inn. Solomon Sterner constructed the wonderful Federal-style building in 1824, using bricks built on the property. The inn faced the National Road, and served passing travelers. The building was known by a variety of names over the years. Now, I was reminded that the National Road—now Route 40—generally parallels Highway 70. In its heyday the road was crowded with drovers herding bawling livestock, travelers in jouncing stagecoaches, farm families taking produce to market in wagons, immigrants heading west in covered wagons. Many similar inns were built along the way. After years of speeding past on the freeways, I decided to travel a few short stretches on the old National Road. In rural areas, the drive is slower and windier. It also provides a much better opportunity to see the local landscape, imagine the past… and sometimes even dredge up a personal memory or two.